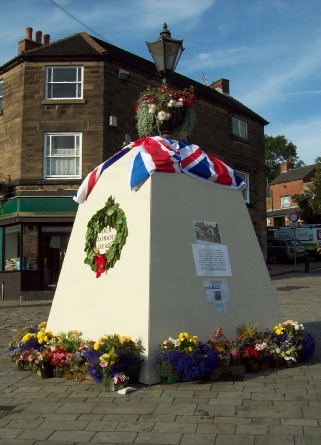 Photo of the Oak Man, finally in place in Belper Memorial Gardens. 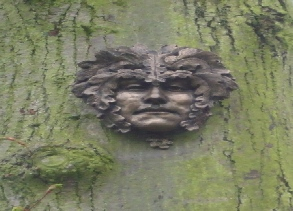 Taking his inspiration from the idea of the Green Man, Fitz has produced the Oak Man, the serene face of a man wearing a helmet of oak leaves, cast in bronze, that Belper Town Council has kindly granted permission to be situated in the Memorial Gardens at the top of King Street. 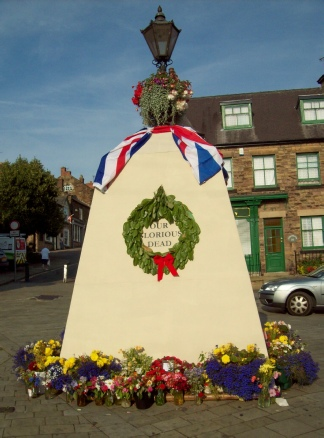 Fitz has chosen a tranquil spot high up on a tree, so that the Oak Man can look down at both the War Memorial and the passers-by on the main shopping street.